A simple, yet striking design combing a contemporary outer frame and a traditional scroll and spindle grill. Headboard and rails only, does not include footboard. Available in Textured Black and Copper Pebble. The Metal Beds Twin Wendell Headboard with Rails by Hillsdale at Lindy's Furniture Company in the Hickory, Connelly Springs, Morganton, Lenoir area. Product availability may vary. Contact us for the most current availability on this product. 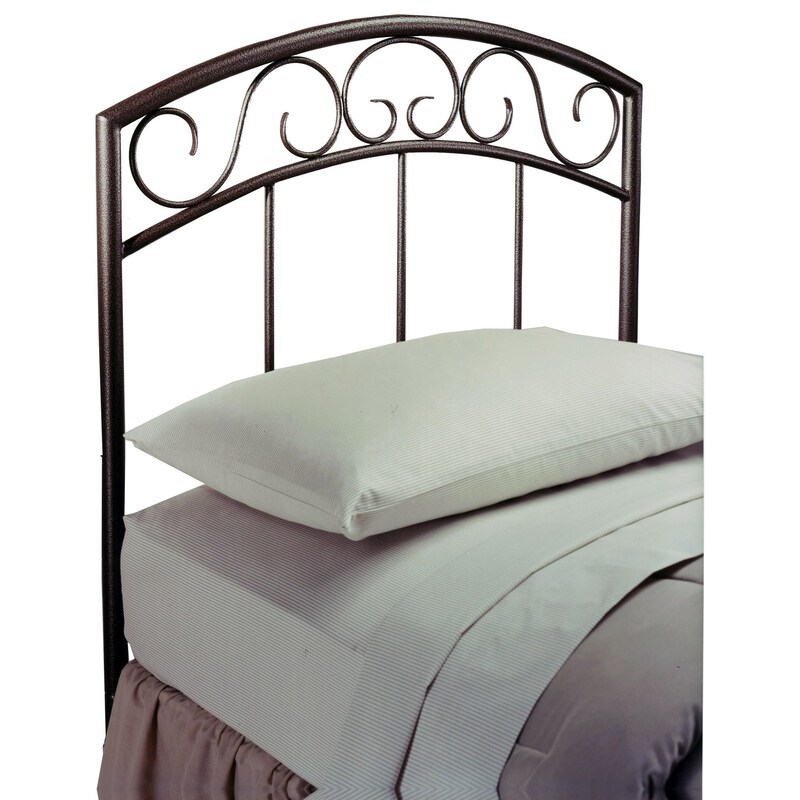 298-34 Wendell Twin Black Headboard 1 40.75" 1.25" 46"
The Metal Beds collection is a great option if you are looking for Contemporary Casual furniture in the Hickory, Connelly Springs, Morganton, Lenoir area. Browse other items in the Metal Beds collection from Lindy's Furniture Company in the Hickory, Connelly Springs, Morganton, Lenoir area.